Chett is responsible for the creation of K12 HR Solutions. He has a heart for education and the people responsible for educating tomorrow’s leaders. (He really does have a heart for education. He’s married to a kindergarten teacher). Chett holds a Specialist in Educational Leadership from Arkansas State University, a Master’s degree in Industrial and Organizational Psychology from Kansas State University, and a Bachelors of Science in Education from Missouri Southern State University. 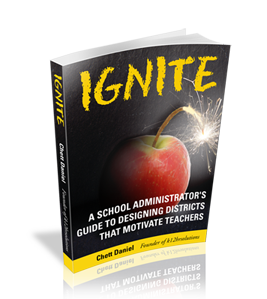 Chett is the author of two books, Ignite: A School Leader’s Guide to Designing Districts that Motivate Teachers and How to Open a Can of Worms: A School Leader’s Guide for Having Difficult Conversations with Teachers. Both of these books are currently free resources for current school leaders. Chett also hosts the K12 HR Solutions Podcast, a monthly podcast for school leaders to discuss human resource and organizational effectiveness topics that are relevant for K-12 school district leaders. 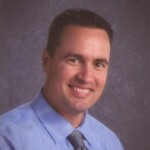 With over eleven years of experience working in public education and ten years’ experience managing large projects with a Fortune 500 corporation, Chett has developed the ability to make data driven decisions to solve organizational needs, while keeping the mission of educating children first. 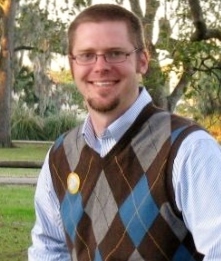 Adam holds a Master’s degree in Industrial and Organizational Psychology from Kansas State University and a Bachelors of Arts in Business Administration from the University of North Florida. He is also a Certified Compensation Professional (CCP) through WorldatWork. With over 11 years of experience working for large government agencies, Adam is highly competent in completing comprehensive job analyses, developing selection instruments including assessment centers, writing job descriptions, evaluating jobs using point factor and market pricing approaches, conducting salary surveys and determining the FLSA status for jobs. Adam has completed these processes for several hundred jobs over his career, including executive, administrative, maintenance, information technology, finance, and public safety positions for both represented and non-represented employees. He also has extensive experience in labor relations, having drafted proposals and participated in the collective bargaining process for multiple bargaining units. Contact us and allow us to help improve your district’s performance through human resources.